Modern surface and submarine vessels require a number of different computer networks on board. This is to maintain security operations in maritime environments. But, with its challenging workplace, military ships should acquire a reliable computing system. Amongst the most utilised computing equipment is industrial computing devices. It can have the specifications needed for the military. At the same time, it has the capability to withstand any type of working environment. 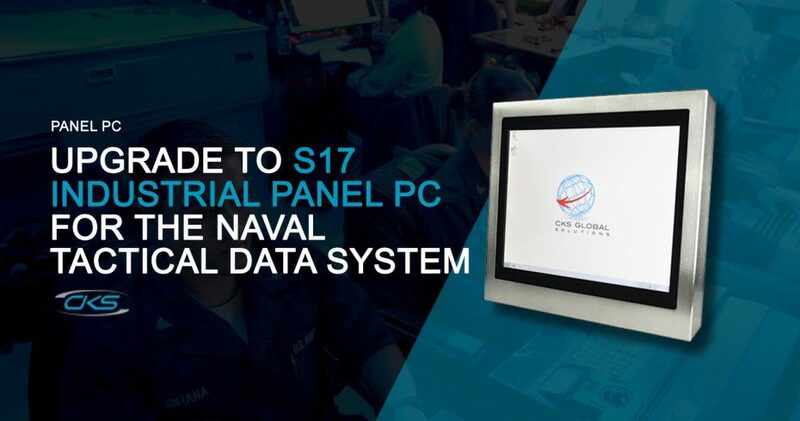 For the Naval Tactical Data System (NTDS), installing the S17 rugged industrial panel PC is an ideal option. This industrial computing device is enclosed with a stainless steel construction frame. So, expect that internal parts of this device are protected against corrosion, dust, and dirt. Also, this 17” industrial PC is equipped with industrial-grade components. Each and every part of this device is designed to perform tough applications. And, that includes tactical data system. Learn more about this device through reading this blog. Having a secured and reliable military control system on maritime vessels is a must. Getting the wrong information might lead to miscommunications. Much worse, it might cause tension and pressure to both parties on seas. That is why the UK defence sector provides the most advanced satellite communications and tactical data systems on British Forces. That way, military ships like frigates and naval fleets can gather real-time data for in-depth analysis. Because of this, specific military applications require a compatible computing technology. So, this is where the S17 industrial panel PCs can be suitable to be used in the military. It comprises the right system processors and highest protection available of a device. Thus, expect that this device offers reliability and durability in terms of performance. Should you want to know the advantage of integrating this device into military operations? Take a look the key benefits of utilising industrial computing devices. Collecting, analysing and distributing information in real-time is the keys to any mission. Whether it is safeguarding the nation or commanding the naval vessels, there must be an integrated data and command system. That is the main reason why naval tactical data systems are integrated with industrial PCs. Here are some of the key specifications of the S17 industrial computer that can be utilised for military ship operations. It is understood that security measures should be strictly implemented in any military mission. Therefore, all devices used for military ops must be fully compliant with data security protocols. Fortunately, the S17 rugged industrial computer can have the advanced features. This is because it is compatible with a wide spectrum of the operating system. It can have an Intel-based OS or Linux-based OS. But, rest assured that this device can perform real-time NTDS in a secured manner. Note that navigation bridges have an inconsistent quality of lighting. So, there will be instances that bridges have poor lighting, especially during night time patrols. But, the S17 rugged industrial PC can have a built-in dual channel LVDS displays. This feature has the capability to provide high-speed videos, clearer graphics as well as faster data transfers. What’s more, this feature operates even at a low power. Other PC enclosures cannot last for a long period of time due to its wear-and-tear condition. Some enclosed PCs may last long but the availability of its parts is rare to find. As an end result, this equipment can be a liability for military industry. Good thing, the S17 rugged computers can provide long-term availability. It can have the highest protection available for a device. It is weatherproof and built for harsh conditions. But, this computing device can still perform efficiently in maritime operations. Building a strong defence against potential threats must have the latest technologies and solutions. Adding a rugged industrial computer to military ships can help modernise its tactical and command control system. So, upgrade to the S17 industrial panel PCs for advanced naval tactical data system in military ship operations.